Karakida, Toshihiko, and Murakami, Yoshiko. Very Good. Trade paperback (US). Glued binding. Contains: Illustrations. Intended for a juvenile audience. 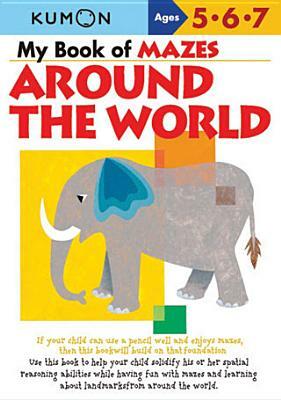 Our seventh maze workbook, My Book of Mazes: Around the World, will also focus on solidifying your child's pencil control skills and spatial reasoning ability. These particular mazes will feature landmarks and cultural items from around the world in order to introduce your child to interesting new places and practices. New. Our seventh maze workbook, My Book of Mazes: Around the World, will also focus on solidifying your child's pencil control skills and spatial reasoning ability. These particular mazes will feature landmarks and cultural items from around the world in order to introduce your child to interesting new places and practices. Illustrator(s): Karakida, Toshihiko; Murakami, Yoshiko. Num Pages: 80 pages, illustrations. BIC Classification: YBG. Category: (J) Children / Juvenile. Dimension: 300 x 213 x 11. Weight in Grams: 312. 2007. 1st. Paperback.....We ship daily from our Bookshop.